We at www.informationworker.co.za are proud to kick off this year with our first event in Cape Town. If you do not know who or what Information Worker is, please have a look at the site and familiarise yourself with what the community does. January is Development Month hence the topics. We will be running themed months which I’ll update everyone on soonest. Join us for the first new year session on Tuesday the 25th of January for our monthly IW community session. Johan has 12 years’ experience in planning, designing, developing, training and implementing cutting-edge Microsoft technical solutions in a wide range of industries. He has done a number of international projects and consulting services were successfully delivered in Germany, Greece, United Kingdom, Scotland, India and South Africa.He loves to see individuals develop their technical abilities through his efforts as technical leader and motivator. In 2008 he made a decision to align his career with Microsoft’s roadmap for SharePoint technologies and have since worked hard at becoming a specialized SharePoint Solutions architect and leader. 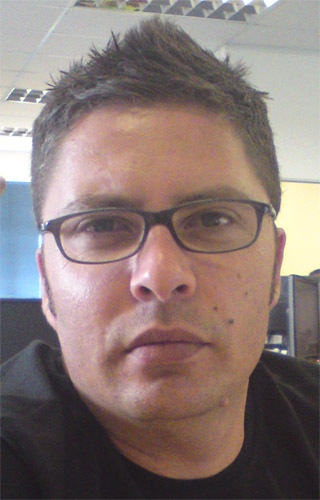 He is currently playing the role as SharePoint Architect and Solutions Manager at relate technologies in Cape Town, South Africa. Please make an effort to attend the event. We have great speakers and awesome topics. Plus, free snacks and soft drinks and a SharePint after at the local pub.